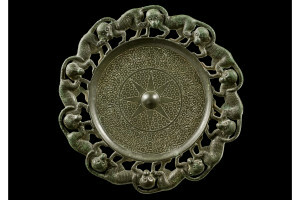 Buckle with 10 monkeys in relief, Chinese, Western Han Dynasty, 206 B.C.—9 A.D. The New York art world is getting ready for one of its most fun events of the year: the eighth annual Asia Week New York. Beginning on March 10 and continuing for nine days until March 19, Asia Week New York will have participants from 45 international galleries and five auction houses. If you are thinking that major art events like Asian Art Week are only for the wealthy, Mason says this ain’t necessarily so. Collectors looking for something beautiful yet unusual should stop by Phoenix Ancient Art at 47 East 66th Street. 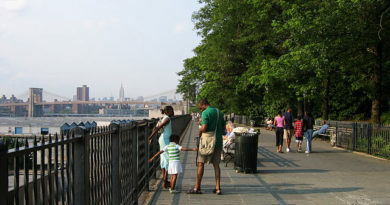 The irresistible combination of the ancient world with the faraway lands of the East, makes a trip to Phoenix thrilling. 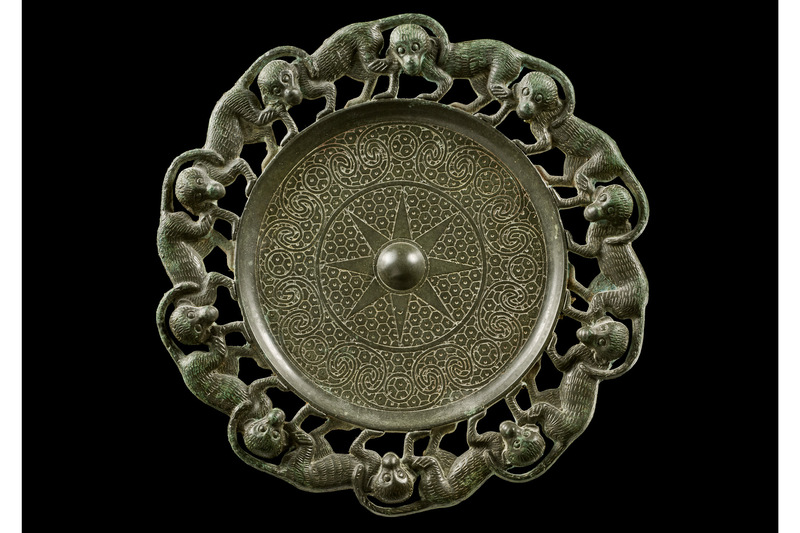 One piece on hand there is especially appealing: A bronze buckle from the Western Han Dynasty, 206 BC- 9AD, decorated with 10 monkeys. This artwork is one of the best preserved of it kind. Being that this year is the Chinese “Year of the Monkey” this piece is of special relevance today. The buckle is a key piece in the Glories of China exhibit at Phoenix Ancient Art.